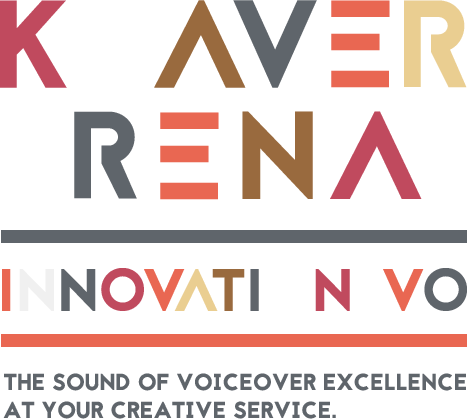 COMMERCIAL DEMO | Female Voice Over Talent - Keaver Brenai. Innovation VO. Listen to the commercial demo of Keaver Brenai female voice over. Commercials – television or radio advertisements engaged in commerce intended to make a profit. Keaver Brenai is the female voice actor that understands the influence of branding on radio, TV, internet and all formats. Banks, supermarkets, automotive, clothing brands, food and cleaning products all trust Keaver to relay their message to the consumer. Emotion, trust, honesty, and transparency work well to deliver the engaging commercial messages leading her to earn the trust of top brands like Crayola, General Mills, Kraft, Dove, McDonald’s, Tyson and more because her creative service is as superior as her sound. That’s Innovation VO and her reliable promise to you!